On March 5-6, 2019, the Ambassador of Uzbekistan Ravshan Usmanov visited the Malaysian state of Johor. Within the framework of the visit, he, jointly with the chairman of the International Trade and Investment Committee of the State Jimmy Puah, held a roundtable with a presentation on the trade-economic, investment and tourism potential of our country. Johor ranks second after Kuala Lumpur in terms of population in Malaysia. Being the southern gateway to the country, it borders with Singapore and is considered one of the most economically developed regions with a rapidly growing industrial potential in the petrochemical, electrical engineering and banking sectors. More than 1,100 companies from Japan, the USA, South Korea, France, Germany, Spain and other countries operate in 30 industrial zones of the state. 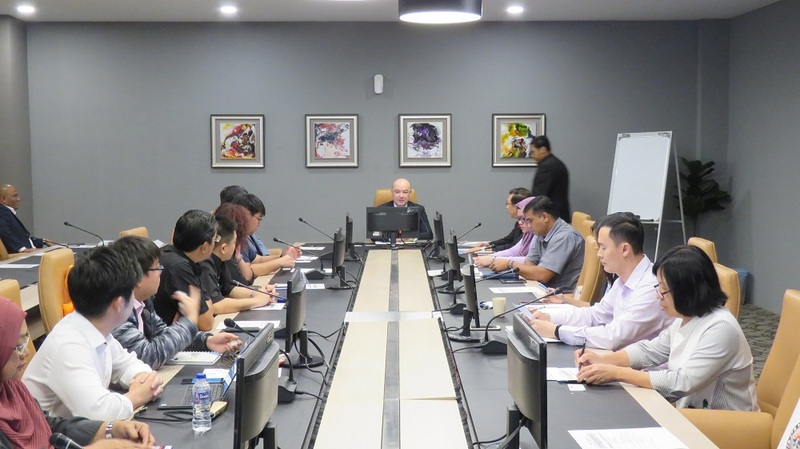 During his speech at the roundtable, Jimmy Puah declared that “Johor, as the most developed industrial state of Malaysia, is ready to become a bridge for Uzbek enterprises to establish partnerships with Malaysian companies. Johor’s business community sees Uzbekistan as a strategic partner of Malaysia in Central Asia for implementation of promising investment projects”. During the visit, the Uzbek delegation met with the leadership of the state tourism administration, the rector of the Technological University of Malaysia (“Universiti Teknologi Malaysia” – UTM), visited the production departments of companies specialized in electrical, food, household and ceramic products. At the meeting with UTM Rector Vakhid Omar, the current state and prospects for cooperation in implementation of undergraduate and graduate programs of this Malaysian university on the basis of educational institutions of Uzbekistan were discussed. According to the UTM Rector, the establishment of cooperation between universities of the two countries has great potential and in the foreseeable future, the Malaysian side is ready to expand the range of cooperation by increasing the list of trained specialists in the newly created Uzbek-Malaysian faculties. At a meeting with representatives of the Malaysian Association of Travel Agents and Travel Agencies (MATTA) headed by the head of the department of this association in Johor Katren Lee, information was given about the current visa-free regime between our countries, introduction of a visa-free regime for citizens of 45 countries and Uzbekistan “e-visa”, as well as on the procedure for visa-free entry, temporary stay and departure for a period of not more than five days for citizens of 101 states traveling in transit through the Uzbek territory.